Gondolin - One of the two great cities of the Noldor that was established in Beleriand which stood for almost five centuries before it was sacked by the forces of Morgoth. It was built by Turgon, son of Fingolfin. 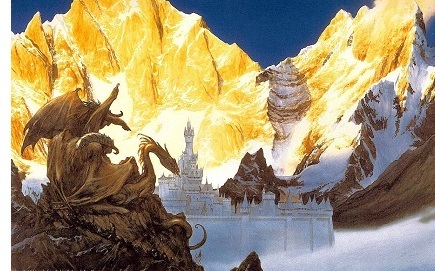 The key to Gondolin's safety lie in its secrecy from the outside world. It was surrounded by a circle of mountains and accessible by only a single pass carved out by a river. But its location was finally betrayed by Maeglin, and Morgoth sent an army to destroy it.